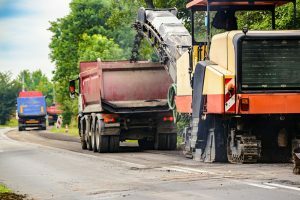 If you are purchasing an asphalt milling machine, there are various parameters that you need to look at. Among the key things that you need to consider is the performance of the machine. Unlike what most people believe, there are many things that you need to consider about the performance of the machine to ensure that you are getting the best out of the machine. One of the key parameters that you need to consider is the operating speed of the machine. This is the speed that the machine moves with while working. The speed is measured by the number of meters that are milled per minute. You need to check how many meters that the machine can mill in a minute. It is essential to note that the higher the operating speed, the higher the performance of the machine. Therefore, you need to consider operating speed as one of the key parameters for your asphalt milling machine. The second thing that you buyers need to look out for is the operating weight of the machine. But this should be not be confused with the weight of the equipment. This is the basic weight of the vehicle, fuel and the driver/operator. For the machine to operate properly, it must not exceed the operating weight. Make sure that you have check this parameter based on the kind of work that you want to accomplish. The ground clearance is another parameter that you need to consider while purchasing asphalt milling machine. This is a parameter that determines the space between the base of the equipment and the lowest point or the ground. The importance of this parameter is to ensure that the base of the machine is safe so that it does not get stuck. However, that depends on the size of the machine and the task that you want to accomplish. It is measured in millimetres. The fourth performance parameter that you should check in an asphalt milling machine is travelling speed. This is important because of the issue of time management. If you are going to the site, you need a machine that will take the shortest time possible. The trick is to get the highest speed possible depending on the model of asphalt milling machine you are buying.